This book presents All of the major topics in modern analog and digital control systems, along with the practical, applications oriented knowledge and skills needed by technicians. It contains user-friendly conceptual explanations and clearly written mathematical developments. Examples of both Mathcad and MATLAB illustrate computer problem solving—but this book emphasizes the ability to use any suitable software to achieve successful results in solving problems and performing design. Chapter topics include Measurement; Laplace Transforms; Control System Models; Static and Dynamic Response; Stability; Frequency Response Analysis; Root Locus; State Variable Analysis; Introduction to Discrete Control Systems; Z-Transforms and Discrete State-Space Analysis; Digital Signal Representations; Discrete Time Control Systems; Stability of Discrete Control Systems; and Advanced Topics in Control Systems. For engineers and technicians working for companies that integrate control systems with the use of programmable logic controllers. 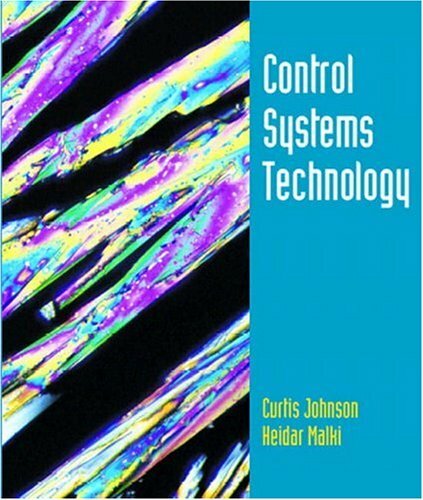 Control Systems Technology is a comprehensive text focused on the knowledge required by practitioners to both understand and evaluate an existing control system. The text also enables readers to devise and design new control system applications. The text presents classical and digital control systems, emphasizing careful explanations of the concepts. Multiple examples and solutions illustrate the concepts and the operations required to solve problems. The use of computers to implement practical solutions to problems is also emphasized throughout the book. Each chapter starts with an introductory section that explains the purpose of that chapter. There is also a summary that contains important points presented within the chapter. A set of review questions reinforces learning. Appendices on complex numbers and matrices will prove to be helpful and informative to readers, and solutions to select odd-numbered problems help readers assure themselves that they have a firm grasp on the subject matter.